Yes, business process outsourcing is something that Coca-Cola does and spends millions on and something Vodafone uses IBM for to build its customer-related IT requirements, but it’s also for anyone and everyone. It doesn’t have to be done on a massive enterprise scale, and in fact it can be even more impactful for small businesses because it means the difference between hiring a full-time legal team and using an as-and-when needed one from another company. That’s a massive difference in cost. When you use an agency, or hire an accounting firm, that’s business process outsourcing. While the term has been taken over by enterprises and maybe shifted to mean something different, at its heart, every business does it. Every business without a full time accountant, legal team, marketing team, designer, IT guy, etc, does it. Is BPO right for your company? While BPO is commonly associated with enterprises looking to cut down on the costs of hiring local labor, you can also look at it from the perspective that businesses of all sizes are making use of companies to do their accounting and legal functions. Just like how for enterprises there can be considerable costs cut when outsourcing on a massive scale, for SMBs it means simply not having to hire dedicated accountants, pay for accounting software, and suchlike. What are some common processes that can be outsourced? Whether it’s on an enterprise scale and you’ll be handing the process over to a large department, or you’re just an SMB working with a single agency, there are a lot of different processes you can consider outsourcing. In the same way that SaaS has replaced the need for bloated digital architecture in businesses, it’s also starting to disrupt BPO in the traditional sense. A productized service is a mixture of software and an outsourced staff member, both paid on a monthly basis. A good example of a productized service is Bench, which provides both accounting software and an accountant as part of the package to do your books for anywhere between $125 and $350 per month — certainly far less than you’d pay for a full-time accountant. Draft is a design consultancy with a specialization in conversation rate optimization and their own software to help A/B test. A lot of companies outsource marketing overall to an agency, so it’s unlikely there’s going to be anyone in-house at those kinds of companies that knows how to run A/B tests — not even Steve from Warehouse. Draft’s Revise productized service is a way to outsource that. For quite some time at Process Street, we either fumbled with design in-house or hired freelancers on a project-by-project basis. When it comes to logo design, a growing startup can’t rely on a half-arsed MS Paint job or afford to hire a full time designer. For most business’ purposes, 99 Designs will do the trick. It offers a front end system for posting your brief, voting on designs and giving feedback. 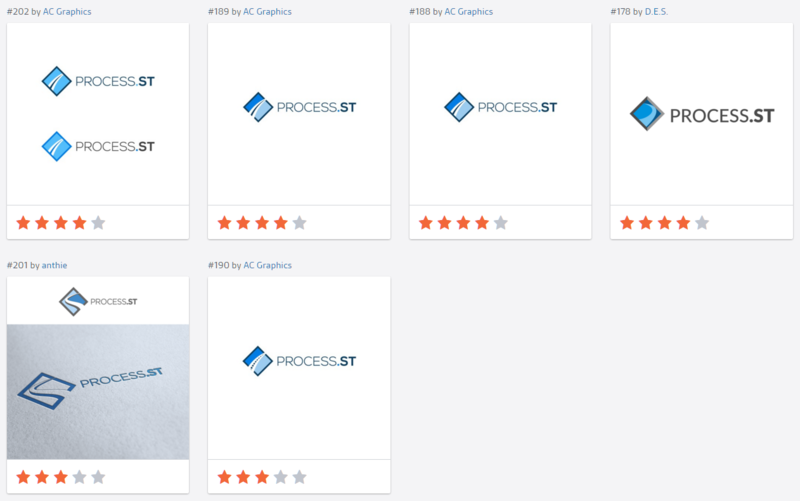 In the end, you crowdsource a ton of different logos from the community and decide on a winner to get the money. 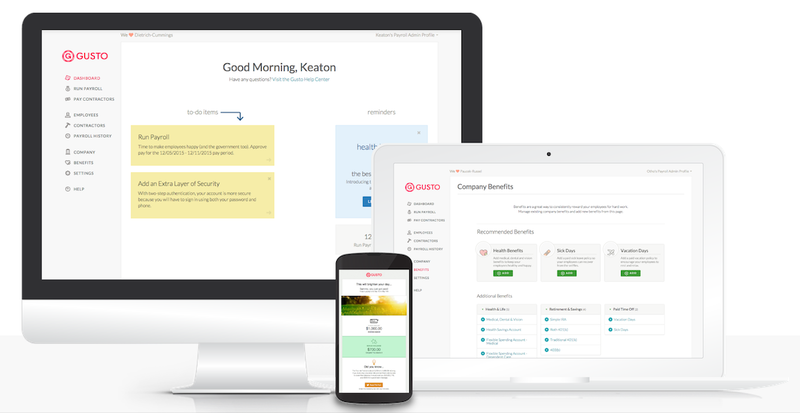 Gusto offers clients software to manage and get reports on the payroll and benefits for their employees, but also covers everything “from filing all local, state, and federal payroll taxes to sending employee paystubs and W-2s”. So, as well as the automated tasks, they also manually handle the life’s-little-joy that is form filling. At Process Street, we outsource the recruitment process for marketing assistants to an agency who then handles the payroll and paperwork for those employees. Recruitment Process Outsourcing saves us time when dealing with working out pay, hours, reading resumes and screening candidates, and that’s valuable because marketing assistant positions are generally filled on a project basis and/or have much higher turnover than the more senior positions. The most vital thing we’ve found along the way has been the need for a documented process before taking the leap and outsourcing. Because it can be quite delicate, we’ll take this opportunity to lay down a few best practices we’ve found when outsourcing work. There’s no better way to give someone a good feel for what they have to do than a video of you doing the exact task. At Process Street, we include screencasts whenever we create a process, and that’s for a couple of reasons. Looking for the best way to get a screencast recorded and distributed? Check out our guide on the topic here. By screencasting the task and creating a process for it, you also get to know the amount of time you can expect it to take, ensuring you don’t get ‘given the run around’ by an agency. How will you judge the efficiency of the team you’ve outsourced the task to if you don’t understand the process yourself? If you’re a solopreneur or just working out the kinks before expanding your operation, it’s likely you do the task yourself. Are you sure you’re doing it the best way? To figure this out, it’s best to create a process, test it, and optimize it. When you hand the task over, make sure you’re checking how closely the process is being followed, and whether any errors are cropping up. Ask yourself: did the error occur because of the process, or because the process isn’t being followed? If you’re thinking about outsourcing something particularly creative, like good design or writing, it’s probably best to leave that to a dedicated in-house team and instead outsource things like data entry, research, QA and appointment scheduling. What are the current functions and processes in the business? What could be done more cheaply if outsourced? What does the current staff excel at? What do we currently outsource? Answering these questions can help you see what should be outsourced to free up time and money to work on what really matters. Until recently, we outsourced our design work to freelancers and agencies in order to avoid hiring a full-time designer. Why? Well, it’s quite simple. We didn’t have enough work to fill a full-time designer’s day. So, instead of hiring another employee (quite a big deal for a small company like Process Street), we outsourced the design-related tasks (ebook design, website re-designs, video creation) on a project-by-project-basis. However, with the new marketing initiative of a push towards video creation, it made sense to hire a professional full-time designer who would also be able to free up time during the working day for the other smaller tasks we’d otherwise outsource. When dealing with something that can have such a variable price, it’s never silly to shop around. Contacting multiple vendors looking for quotes is not just a way to get an idea of price, but also of how quickly they respond, their tone, and general customer-facing attitude. I am outsourcing the posting and promotion part of my inbound marketing activities like finding images, sending out emails to different lists, etc. I make screen capture video’s about the activity and I also include a checklist from Process Street. Choosing the right partner is not only depending on the price but on quality and relyability of the work. Testing these qualities should be part of the selection process of BPO. Awesome to hear you use screencasting plus a Process Street checklist. That’s exactly how we do it here. And agreed about finding a reliable place to outsource. I should update the article to reflect that point.